The most popular form of bonus is one that can be claimed without the need to deposit any of the player’s own money – known as a No Deposit Bonus. These bonuses are used as acquisition tools by casinos wishing to attract new players. 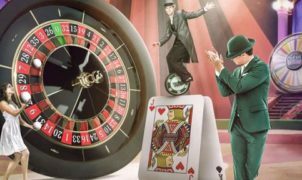 No Deposit Bonuses are hugely popular with online casino players and the reason why is quite simple. The Casino gives you money upfront without you having to deposit any money, essentially ‘free money’ that the casino gives you to try out their casino. Often the amount is not absurdly high, but a nice small incentive to get into the casino and try it out. £5 and £10 free are the most common ones. It is a sort of pay card you get when you walk into a bar and have a few pounds free to spend on drinks. But here is the thing, it is never money you can use or withdraw without terms. You have to play with it. So is a No Deposit Bonus really ‘free money’? Now the most important thing for you to know of course is, is it really free for me? Well, yes and no. The moment you register at the casino in question you do get the cash credited to your account immediately, without having to make a deposit and with no obligation to make a deposit in the future. But you do have to use this money to play with, you can’t just withdraw it straight back to your bank. So it is ‘free play money’. The money often also has Terms & Conditions (T&C) to go with it. You can still win with a No Deposit Bonus, because it is never rigged or has other player value to it than with a normal deposit. You can’t withdraw it immediately, but you can after playing several or one game. But here is the requirement, a No Deposit Bonuses will come with ‘wagering requirements’. This literally mean ‘how many times you have to play with the money before it converts to cash’. The wagering can range from 10 times, 20 times or even more, a ‘barrier’ you have to cross before you’ll be able to withdraw the amount that is left. So a No Deposit Bonus is a great way to ‘try before you buy’, sort of. You get the chance to try out the product, without spending any of your own cash. And as there are many sites to choose from, this might not seem such a bad thing. 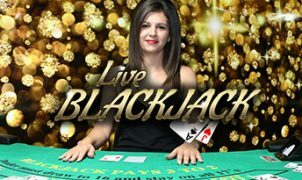 If the website isn’t quite for you then you’ve had a chance to try it out but not wasted anything of your own, but if you like it, then you can go on and make it your casino of choice. Always remember to check the wagering before claiming a bonus. Most importantly, read the full bonus T&C. Take a moment to read them carefully, for if you want to play on the house, you need to play by the rules. Even though this might seem as a pointless hassle, it can actually save you a lot of time and money in the future. So the The catch is simply the wagering requirements; you can’t withdraw the No Deposit Bonus until you’ve went through it a certain amount of times. This is more like ‘fair play’ though and not a catch at all. You just have to play with the bonus money before you can make it your own, which is really in the spirit of the promotion.